Over the past few months, the automotive and technology industries have reached the sometimes-jarring realization that fully autonomous vehicles will not be on the road in meaningful numbers any time soon. That doesn’t mean the ambitions themselves are being curtailed. Lyft formed a partnership with global supplier Magna in March to co-develop fully autonomous vehicles, which included a US$200 million investment from Magna into the ride-hailing network. The two companies provided a status report on their operations during CES and the North American International Auto Show this month. Perhaps learning from the lessons of other companies who have put firm time frames on their planned commercial deployments of autonomous vehicles only to offer underwhelming services at those times, or perhaps because Lyft is likely to go public sometime this year and cannot make forward-looking statements, the two companies are not putting dates on when their co-developed systems will be ready for the road. Magna employees, above, work at Lyft’s office in Palo Alto, Calif., where a shuttle service provided by self-driving vehicles, top, is being tested. But 10 months in, they are pleased with the progress of a team that contains nearly 300 engineers. Lyft is developing software for the self-driving systems, while Magna is focused on outfitting the vehicles with systems, and eventually manufacturing them at scale. 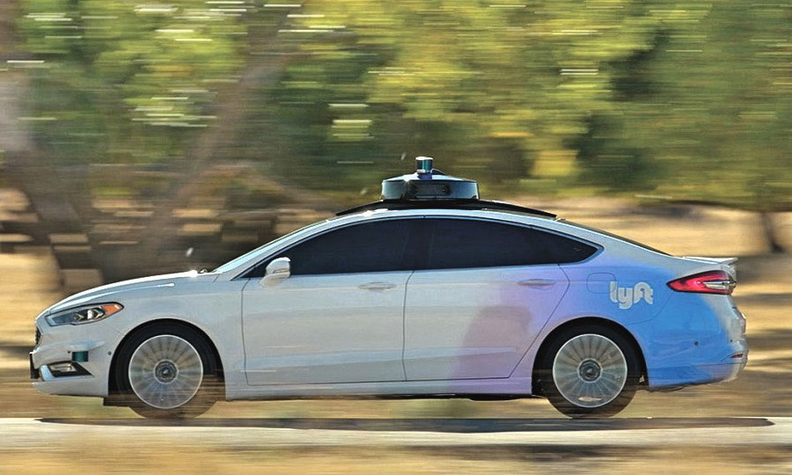 Testing has included a 10-week pilot in which self-driving vehicles — with human safety drivers behind the wheel — ferried Lyft employees from their Level 5 office in Palo Alto, Calif., to and from a nearby Caltrain station. Helping connect commuters with public-transportation options and their homes or offices is a complementary role that Lyft foresees for robotaxis — something the company has piloted in traditional-driving projects in recent years. So it makes sense that similar routes are the focus of early AV testing. At the same time, Lyft has been integrating technology from Blue Vision Labs, a London-based augmented-reality company it acquired in October, into its self-driving plans. Software from Blue Vision Labs can use cameras in smartphones to better perceive the environment, and this could help add context and information for self-driving operations — potentially diminishing the need for more expensive sensors. 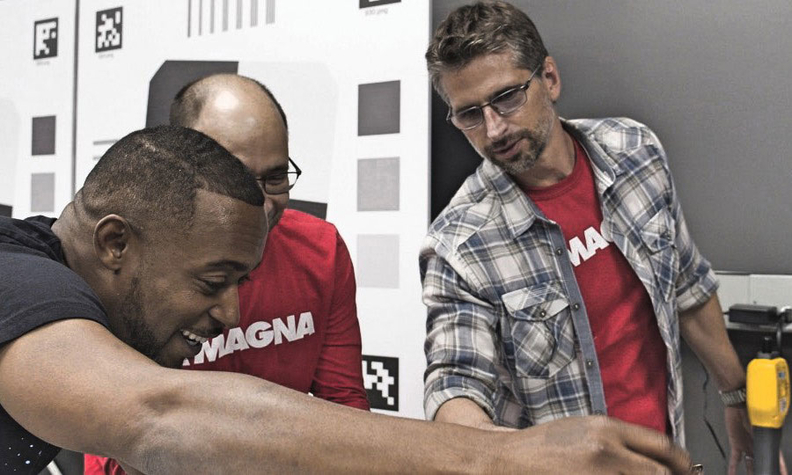 For Magna, the partnership gives the company firsthand experience in preparing to manufacture self-driving systems. It further provides insights not only on fully autonomous systems, but on how the company might use some of those learnings in driver-assist systems that are in production today or in the production pipeline. Sometimes those lessons learned trickle down from full-autonomy testing into ADAS systems, and sometimes they are carried upward from driver-assist technology into the full-autonomy testing.